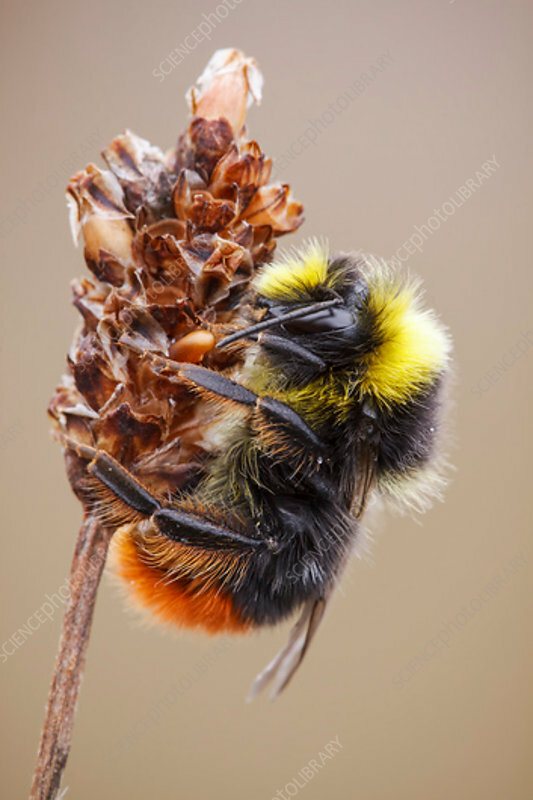 A male red-tailed bumblebee (Bombus lapidarius) resting on the seeded of a plantain in a calcareous limestone grassland habitat. An easily identifiable species of bumblebee by the black body and red tail. Males have a yellow band across the thorax. They are relatively common and found across the UK and central Europe. Photographed in Somerset, UK, in July.